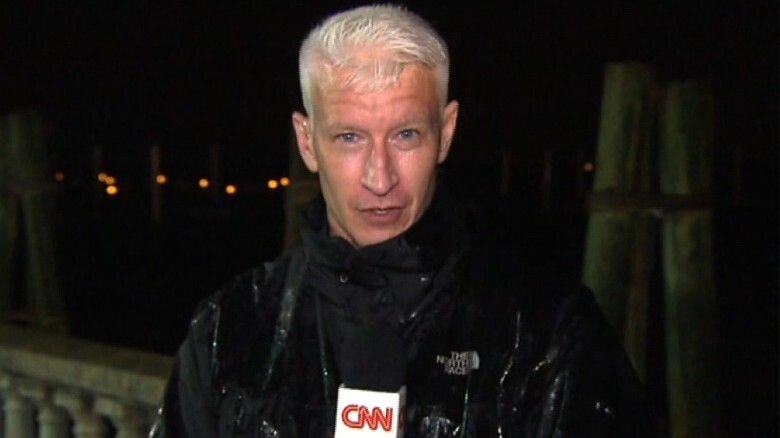 CNN anchor Anderson Cooper is not new to reporting from scenes of tragedy, such as hurricanes. Yet President Trump’s son, Donald Jr., took to Twitter to publicize a photo that was going around Twitter, appearing to indicate Cooper was kneeling in water to make it look deeper than it was during Hurricane Florence. Of course… As Cooper explained during his broadcast Monday night, not only was Trump Jr. just smearing him, it was a photo from Hurricane Ike in 2008, not Hurricane Florence, where he was explaining how deep the water was. Anderson, I am not a fan of a few things you do but, I am sure your heart is in the right place when you go out to these places of disaster. I tip my hat to you for that. You have a lot more guts and honor than both Ignorant & Cowardly Daddy Donald and his son combined. The deceptive poison they spit out continually is only doing more to send our wonderful country to a worse place over time. Surely, it not just these two men nor the present administration which is at total fault…this problem has been boiling for at least a couple of decades…and we see shooting ourselves in the feet trying to make it better by making it worse. The world is watching and (many) in the world are sad at what has happened over the decades. Anyways, keep on telling us the TRUE stories of what is happening in the US and in the world, not the FAKE FACTS that one people are continually spewing out. Keep your eye always on the straight and narrow path of truth and honor and you cannot go wrong in the end. Seriously Carl you think CNN is truthful haha I suggest you look at the SNL sketches on CNN especially the Anderson Cooper one that is CNN to a tee. CNN wants ratings more than anything else and it will do what it can to get ratings.